We would like to thank all of our sponsors for their continued support. Please visit these businesses whenever you are in need of their services, and be sure to let them know how you heard about them. #1 Cochran Automotive is one of the nation’s leading megadealers. Our full-service facilities offers everything from sales, financing, parts to service. You'll find what you need at Cochran Automotive with several locations to better serve you. Check out their website to find a location near you. ARL, Inc. was established in 1978. Over the years, we have grown from a small family owned trucking company into a large competitor with 50 employees and 80 agents nationwide. We maintain a large owner/Independent Business Associate and fleet owner base of equipment. However, we at ARL, Inc. have continued to maintain the "Family" image. 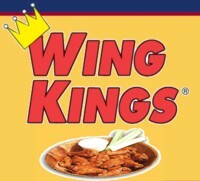 Wing Kings specializes in over 20 different flavors of wings. We also serve appetizers, fresh salads, dinners, subs, and burgers. Miller and Sons Chevrolet located in Aliquippa and serving Mars for your every new and used Chevrolet car and truck need. At Miller and Sons Chevrolet in Aliquippa, we have a complete Chevrolet service and parts department to assist in any way possible. After three and a half decades, Don Martin's Lernerville Speedway is still one of the top tracks in the country. Lernerville has the distinction of being the only track that offers three top paying divisions weekly including the Sprints; Friedman's Supermarkets/Bi-Lo Foods Late Models; Ferrante Motor Cars Big Block Modifieds; plus the ever popular Advance Auto Pure Stocks. Lynn’s thirty plus years of dirt track racing speaks for itself. Geisler has spent twenty-seven of those thirty plus years with #1 Cochran Automotive on the side of his race cars. The National Dirt Late Model Hall of Fame member has well over 200 feature wins to go along with his numerous track and series championships.